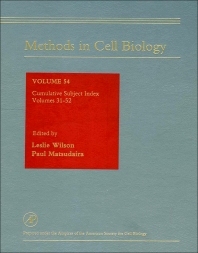 Cumulative Subject Index, Volumes 32-53. Graduate students, technicians, postdoctoral, and experienced researchers. Cell, developmental, and molecular biologists, geneticists, human genome researchers, and others studying nuclear structure and organization.